Dr. Amy Kusske is an Associate Clinical Professor of Surgery at the University of California Los Angeles, David Geffen School of Medicine. 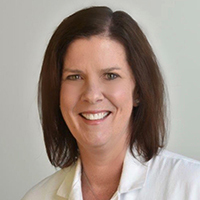 After completing her undergraduate degree at Stanford University, Dr. Kusske pursued her medical degree and graduated with AOA honors from the University of Southern California School of Medicine. She then completed her general surgery residency at the University of California Los Angeles. Dr. Kusske is the Co-Director of the UCLA Santa Monica Breast Center. Her surgical practice is focused on the care of patients with benign and malignant breast disease. She strongly believes in the multidisciplinary approach to breast cancer care and has helped build and lead the Santa Monica Multidisciplinary Breast Program. Dr. Kusske plays an active role in the community, serving on advisory boards for non-profit organizations such as Bright Pink, a national organization who focuses on the prevention and early detection of breast and ovarian cancer in young women and Sharsheret, an organization that supports breast cancer patients and their families.